The Family Table with Genevieve: Workin' It Wednesday.... Spring Cleaning Edition! It's time to Work It! The second Wednesday of every month, I am linking up with Shay & Erika for Workin' It Wednesday. A fun monthly link up to share how busy mamas are workin' it in life. If you missed my first few, you can catch up here. This month's topic is Spring Cleaning! And I will admit.....probably not my favorite topic. But I am really excited to read everyone's tips,because I could use a solid spring cleaning routine! I am not a total slacker... there are a few things we try to do! The basement! This is a catch all for everything throughout the winter. 1. I may have borderline hoarding tendencies. 2.You can pretty much spot something from every holiday/event of the last 12 months. 3. This would make a great picture in an "I Spy" book. 4. 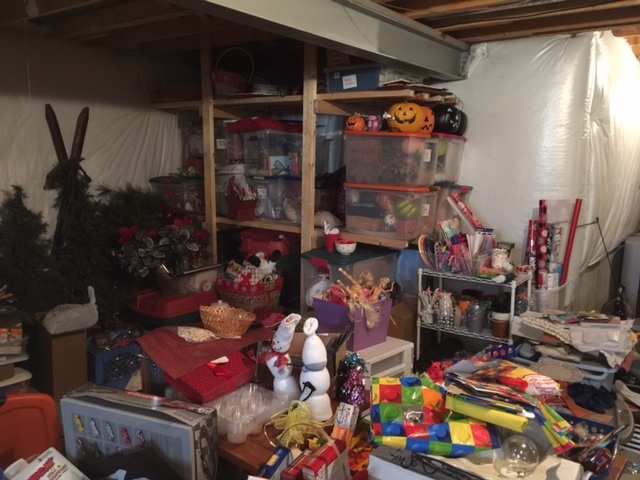 This is one small area of the basement, the rest is not this disastrous! 5. I will be sure to share my after picture. 6. I cannot believe I am sharing this pic with you all! I have a million totes with labels, but somehow the stuff doesn't always make it into the totes. I usually take a weekend to tackle it. 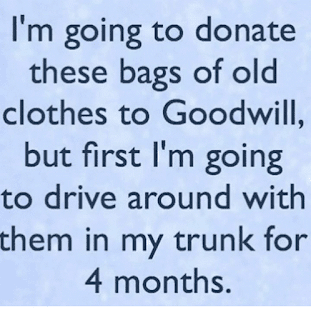 I organize, toss and donate. I try to do a garage sale every few years as we phase out of different kid stuff, but let's be honest... that's a whole lot of work too! 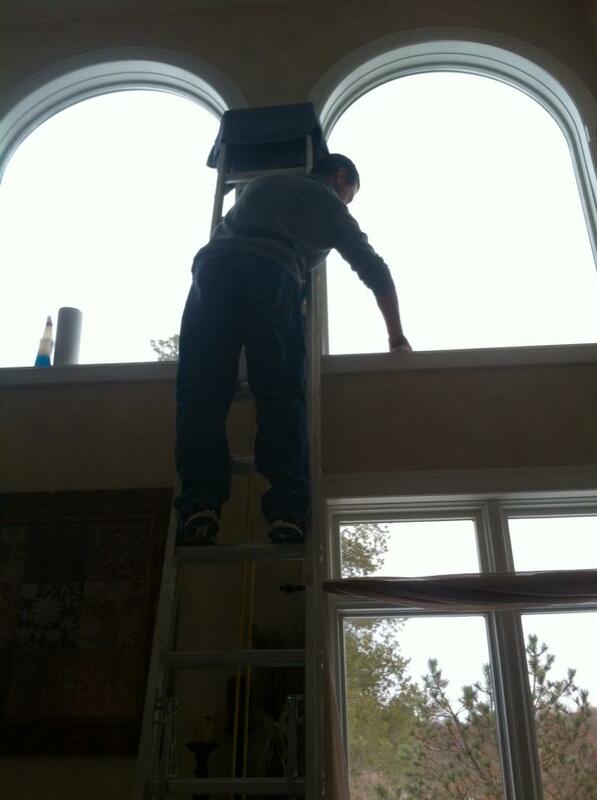 He does the uppers and exterior windows and I do the lower ones. A good pantry clean out. I like to go through my pantry and clean out anything we haven't used or freshen up my spices and baking supplies. And I love when everything is lined up pretty. It makes me think of the Sleeping with the Enemy movie, but really it's just my years of working in a Target store. 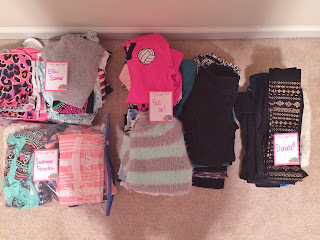 Spring wardrobe cleanout! This is really a love-hate task. I love when it's done, but hate doing it. Maybe it's because I am never feeling my Spring clothes. Or maybe it's because I need to do it for myself and the kids.... and Paul. Anyway let's focus on how great it is when it's done! I shared a few tips for the kids closets last fall. You can check those tips here. And don't just stop at the clothes in the closet, be sure to give those drawers a good clean out too! Tell me I am not alone on this??? 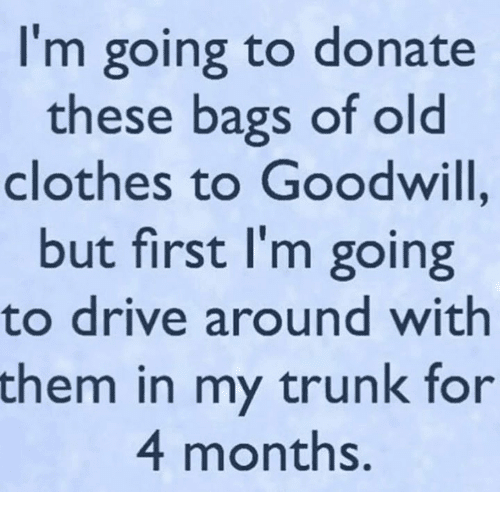 I don't think I have ever put a bag of clothes to donate in my car and actually taken them to donate the same day! Have any of you read this book? I hear it is pretty life changing when it comes to simplifying the clutter. Maybe I should get the audio version to listen to as I do my Spring cleaning! Feel free to share any tips you have for Spring cleaning. See you tomorrow....there's always room for one more at our family table. I had to laugh at that picture of your basement because mine looks the same way! Glad I'm not alone!!!! I desperately need to work on it but it's just so overwhelming that it's hard to know where to start! oh I am glad I am not alone either! Yes it is intimidating...where to start? I just got rid of a few bags of stuff in my trunk that were in there for I don't know how long. You are not alone. I mean why can't we just take it that day? I probably pass three drop off places a week and yet never stop! Glad to know I am not alone! My basement needs a lot of work,too! 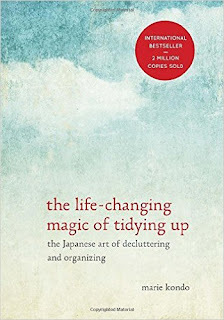 I read The Life-Changing Magic of Tidying Up. Loved the idea of organizing in categories not whole spaces! I know that basement is a blessing and curse at the same time.. out of sight, out of mind! I need to read that book!